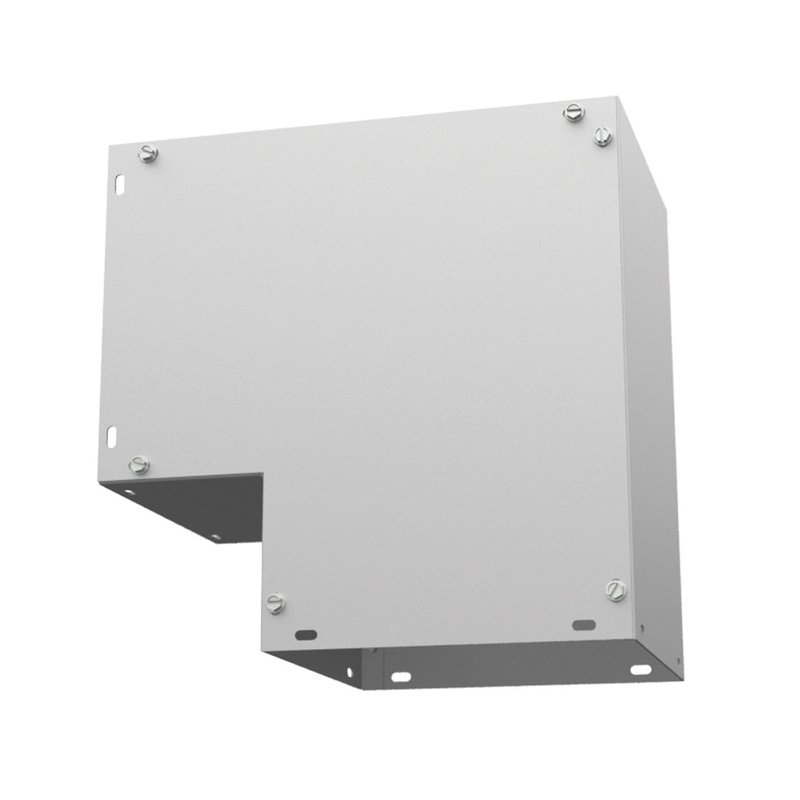 Milbank 90-Degree wireway elbow in unpainted finish, has G90 galvanized steel construction for added strength. NEMA 1 rated elbow has a trade size of 8-Inch x 8-Inch. It measures 0.563-Inch x 10.063-Inch x 10.063-Inch. It is suitable for GSC1 and GHC1 wireway. Elbow is UL listed.